An Olympic-sized dream means taking Olympic-sized strides. Competing in the international fencing circuit costs roughly $8,000 to $10,000 in flights alone to 5 World Cups, 3 Grand Prixes, Worlds Championships, and in-country tournaments. 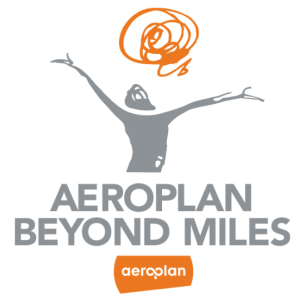 This is why I have teamed up with the Aeroplan Beyond Miles Program! You can support me by transferring your Aeroplan miles to my Olympic journey. These points will help me get to tournaments all over the world, which are crucial for the qualifications to Rio 2016. FourFold is a multi-disciplinary design agency, focused to bring your vision to life. A team of creative professionals specialized in the field of architecture, interior design and brand identity. FourFold Studio is driven by a deep curiosity that keeps us open to possibilities with our clients and ourselves. We make your company unique! Advantage 4 Athletes provides a unique patient experience based on a foundation of patient-centered care. We will work to improve the lives of our patients through individualized, evidence-based care that will allow our patients to return to their chosen endeavors quickly, safely, and with a minimized possibility of recurrence. Using our "13 points of culture", every member of the A4A team will focus his or her energy on making each patient feel special and cared for. WHY ARE WE ON MAX'S TEAM? Advantage 4 Athletes is a local business that works with people of all ages, all sports and all levels. A4A is proud to support local athletes by giving them the resources they need to achieve their maximum potential. Fitness training is not only important to improve strength, speed, coordination or balance. It is crucial to be fit to avoid injury and keep going forward every day. HOW ARE WE SUPPORTING MAX? A4A is giving Max full access to their facility to come and prepare himself for Toronto 2015 Pan American Games as well as the Rio 2016 Olympic Games qualification year. We are joining forces with Max to make Canadian athletes better! Nader is an up-and-coming chiropractor committed to providing optimal care to athletes and maximizing their performance outcomes at training and competitions. He strives to minimize pain, assess and correct movement irregularities, as well as to educate athletes on sports-related health. WHY AM I ON MAX’S TEAM? 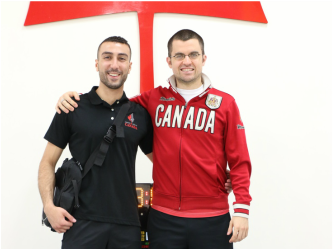 Nader’s own standing in competitive fencing in international circuits led him to taste the bitter side of sports-related injuries and recuperation setbacks. Through this experience, he has grown an appreciation for manual therapy and sports-related health. Understanding the rigorous training elite athletes undergo, Nader is determined to help them reach their desired standards by aiding optimum movement performance, injury-free. HOW AM I SUPPORTING MAX? Nader provides Max sideline therapy to meet all his musculoskeletal needs. Therapy includes acute and chronic pain management, soft-tissue therapy, athletic taping, and movement pattern recognition. ​Nadi Scherma is a small organization dedicated to supplying high quality fencing equipment to the Ottawa region fencing community at reasonable prices. When our founder Ronen Benin was a competitive swimmer, he noticed a distinct correlation between his quality of life, mental state, and overall performance. In order to effectively improve performance, Ronen discovered that it was more than just quality training that athletes need. Ronen partnered with technologist and mental health activist Daniel Lewis to create a precise monitored recovery plan for athletes. Their aim was to identify patterns in lifestyles that may be altered to reduce injury, illness, mental distress, and burnout. In the summer of 2013 Logit’s parent company, RightBlue Labs, was born.